Stand up for the Reef and stop new Cairns dredging. Thanks for submitting your form! Spectacled Flying Foxes: Extinction in Action? mean project approval could occur without federal oversight. As CAFNEC supporters would be aware, state governments (including our own) have a track record of putting short-term gains ahead of national interest when assessing development proposals. An analysis by ‘Economists at Large’ shows the BCA has overstated the effect of federal environment law on business. Their analysis found a BCA paper provided to government had cherry-picked figures and made methodological errors resulting in overstated costs. The business lobby group’s paper also failed to consider the benefits of environmental laws or the potential costs from streamlining them. 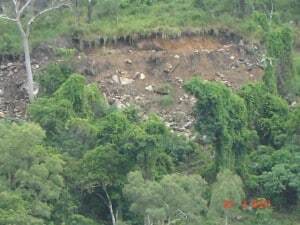 proposed mines on Cape York, robust environmental legislative processes are crucial. expected to be written and endorsed by March 2013. · Reintroducing the Environmental Protection (Greentape Reduction) Bill to hasten environmental approvals (note, this bill was originally introduced by the ALP before the change of government). If you are concerned about these assaults on our environmental protections I urge you to write to your State MP and include a copy to the Deputy Premier and the Environment Minister.